Despite all we do (and don't) know about sharks, they remain wild animals and thus their behavior is unpredictable. Sharkbanz are designed to prevent the most common type of "hit-and-run" shark bites, oftentimes the result of an investigative shark in shallow, murky water, but our technology has its limits. The ocean can be a scary place, and we will never be able to fully control nature nor its creatures. Through education, awareness and technology, we can, however, reduce the risk. The more we know, the better strategies we can develop to stay safe and enjoy our beautiful planet at the same time. Much like other safety devices, such as bike helmets or seat belts, Sharkbanz reduces the risk of harm, loss and/or damage, but they do not provide total coverage. Nothing can, whether it's with regard to swimming in the ocean, or driving your car on the freeway. We created Sharkbanz to provide some protection from sharks when previously there was none. Our mission is coexistence, and to date, we've already received over two dozen unsolicited testimonials from Sharkbanz customers who have been kept safe from an aggressive or investigative shark while using our products. Similar to other safety devices, the greater the coverage, the greater the protection. One Sharkbanz will help you reduce the risk, but the electromagnetic field generated by one Sharkbanz does not act as a full-body force field. If you are in particularly shark populated areas (such as Florida, California, Hawaii, North Carolina, Australia and other areas of the Pacific) and spending a lot of time in the ocean, then we recommend wearing multiple Sharkbanz - and suggest one on your wrist and one on your ankle. It's one of the reasons we made them so affordable. Sharkbanz are designed to be worn on either your ankle or your wrist. We advise you size your Sharkbanz to your ankle, since its circumference is generally larger than that of your wrist. This way you can wear it on either one. If you are wearing just one Sharkbanz, we recommend wearing it on your ankle as the majority of shark bites occur on the ankle and leg areas. Our patented magnetic technology has been successfully tested on a wide variety of predatory shark species (Bull Shark, Blacktip, etc.) 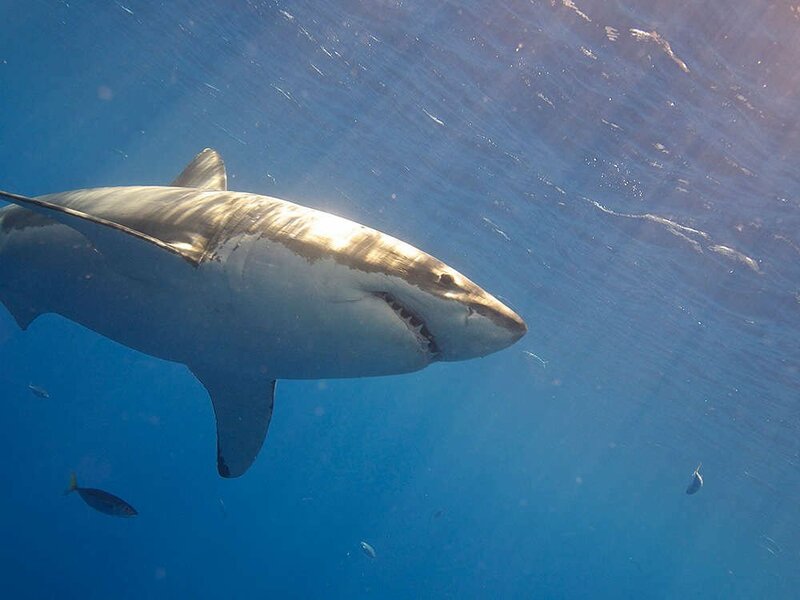 including Great Whites, who rely heavily on their electroreception when hunting and navigating. However, Great Whites are also an ambush predator species and are known to attack from far distances at high speeds (when hunting). Sharkbanz can reduce the risk of an investigative Great White encounter, especially when wearing multiple units to increase the deterrent field range, but Sharkbanz can not eliminate the threat. Nothing can. Shark feeding frenzies occur when multiple sharks are competing for food in a particular area. Many feeding frenzies start near fishing boats, particularly when fishermen pull in fish. 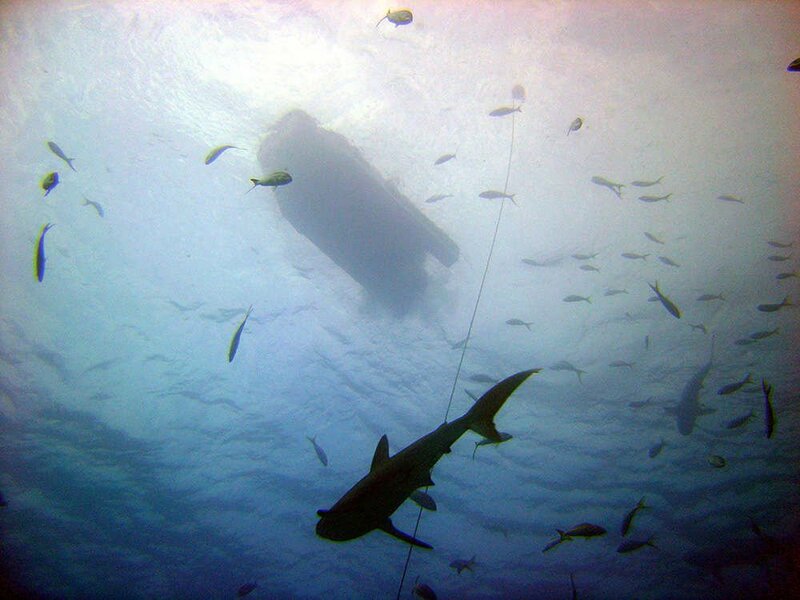 These fish are thrashing and perhaps have been injured in their capture, and this attracts sharks. The more sharks that arrive, the more competitive the frenzy can become - depending on the species involved. 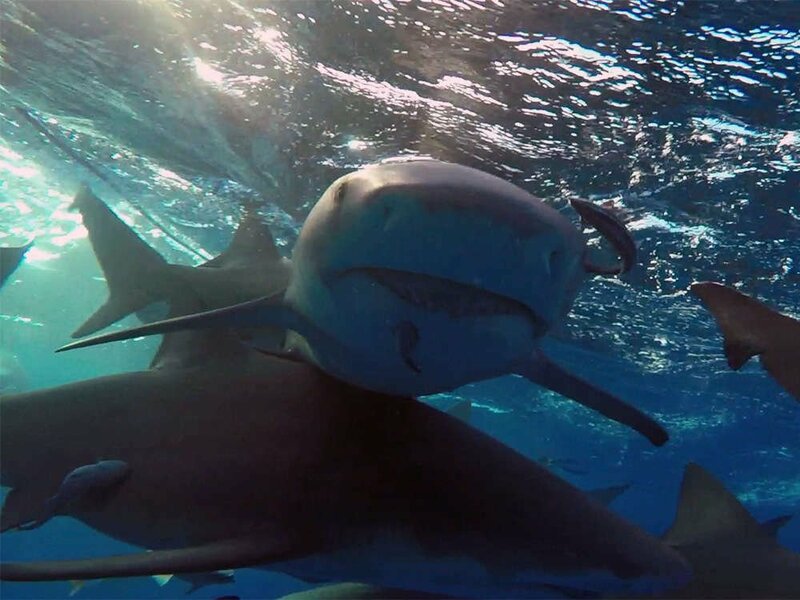 Sharks rely on a hierarchy of senses, and while their electrical sense can override an individual shark's sense of smell, sight or sound in response to a magnetic deterrent such as Sharkbanz, when sharks are hungry or motivated enough, they may continue to pursue something despite an uncomfortable sensation. Yes, we have successfully tested this product in the water with live, wild sharks, and we always do so in conjunction with our scientific partners at Shark Defense Technologies who are accredited marine biologists. We practice under the guidelines of the Institutional Animal Care and Use Committees. For your safety and the well-being of our animal populations, you should not "test" our products on your own. Just as you shouldn't tease a dog, don't entice or provoke sharks, and we do not endorse intentionally swimming with sharks (or hand-feeding them) while using Sharkbanz. Do not bait sharks while using Sharkbanz, and understand the limitations of the product while doing ocean activities such as spearfishing. Our products are intended to help you, but you still need to be smart. 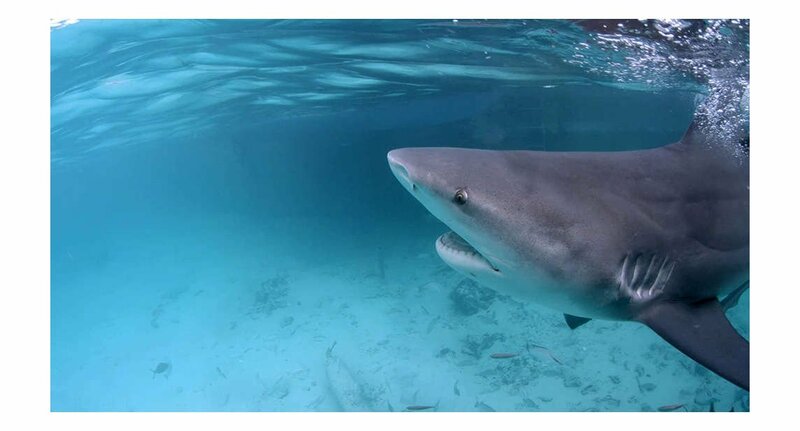 Sharkbanz use powerful magnetic technology to repel sharks. They can damage electronic and medical devices, so keep yours at least 12 inches (30cm) away, and also properly store it in your Sharkbanz box. To view our "Frequently Asked Questions" page, please click here. Already own a Sharkbanz or just bought one? Here's useful info on Sizing, Care, Storage, and Travel.